THE appearance of President Cyril Ramaphosa at the Mining Indaba conference sends a strong message that South Africa intends to reform its position in the world’s mining sector, which is itself on something of an upward trend, partly owing to demand created by consumer led industries: mobile phones and electric vehicles. “It tells me Africa is still an interesting place to invest,” said Alex Grose, MD of the Mining Indaba, whose conference is more accurately titled ‘Investing in Africa’. “I can’t speak for the president, but Mining Indaba is the largest investment conference in South Africa and despite all the challenges, this sits front and centre of the Ramaphosa administration’s pledge to attract $10bn in new investment,” he said. Numbers are strong this year. At about 5,000 delegates, that’s a 10% increase on last year. “We saw a dip in number about two years ago but we’ve been on the up since then. And there’s a lot of international interest. The majority of the offshore visitors are from London, but we’re also seeing representatives from New York, Toronto and Perth,” he said. What’s crucial for Ramaphosa will be to hit the right notes about the kind of mining regime South Africa wants to offer. Until the appointment of Gwede Mantashe as mines minister last year, the Department of Mineral Resources (DMR) occupied a kind of no-man’s land: inaccessible and dangerous. According to Bruce Dickinson, a partner at Webber Wentzel, the pressure is on the DMR to keep pace with South Africa’s sub-Saharan neighbours. “Recent overhauls of mining legislation in Namibia, Angola and Zimbabwe could start to attract investment away from South Africa, as long as South Africa fails to make its mining code and legislation more competitive,” he said. It’s also not enough for South Africa to believe that since it has dominant market share in terms of reserves of platinum group metals and manganese, as well as significant reserves of coal, it can continue to weigh the scales in favour of vote-winning government policy rather than working just as hard at accommodating offshore investment standards. 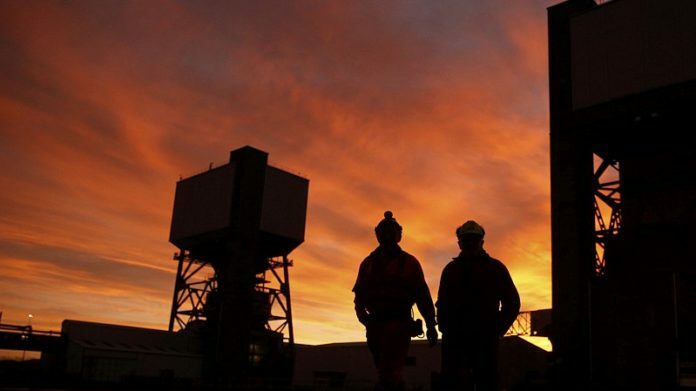 Commenting in the 2019 trends in mining study published this week, consulting firm, Deloitte, said that the best assets “on paper” do not translate as such if the investing environment isn’t correctly structured. There has been a rash of policy shifts in resource-rich African districts, most obviously in Tanzania and the Democratic Republic of Congo where new mining codes were introduced, and in Zambia which announced a number of fiscal alterations designed to benefit the country’s treasury. VAT returns are also not being paid in each of these countries. Perhaps a key goal for South Africa Mining Inc. is to attract new investment in resource development. Greenfields projects are scarce globally, largely because investors are tired of funding long-lead, expensive and risky projects preferring quick wins such as organic expansions that don’t threaten dividend flow. There’s almost no significant exploration in South Africa, save that of Orion Minerals, a Sydney- and Johannesburg-listed exploration firm which is working on the Northern Cape province’s Prieska zinc-copper project (which is actually a reopening of works last operated by Iscor in the Eighties). Edison Research said in a recent report on resource exploration equities that factors previously considered important in resource development such as ‘grade’ – which for the layman is about the quality of the orebody – are less crucial when set against low sovereign risk.